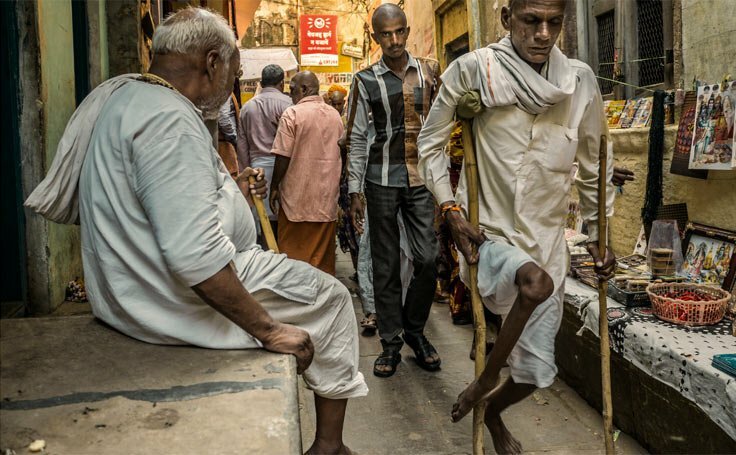 In 1988, polio (or poliomyelitis) affected 350,000 people every single year, sometimes causing paralysis and even death. Polio is a highly infectious disease spread usually through water or food that has been contaminated with faeces (poo). Caused by a virus, it usually affects children who are under the age of 5. The good news is, since the development of a vaccine, the number of cases has been reduced by a whopping 99%! 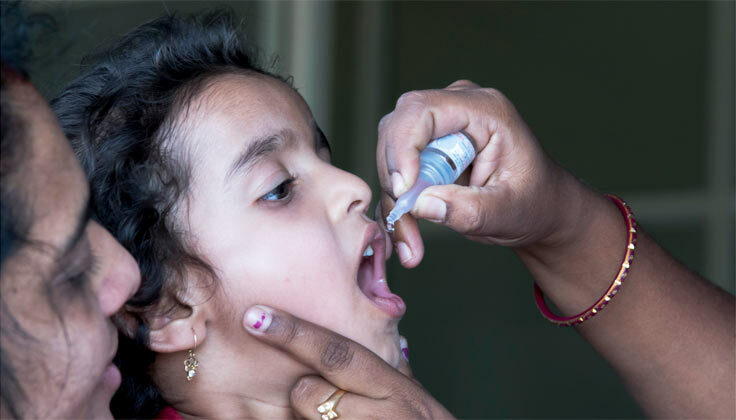 Find out more about polio and the work that is being done to get rid of it for good! Although it sounds strange, 90% of people who have polio probably have no idea! Most people don’t have any symptoms, and even if they do, they are often mild and include things such as a fever, fatigue and headache. 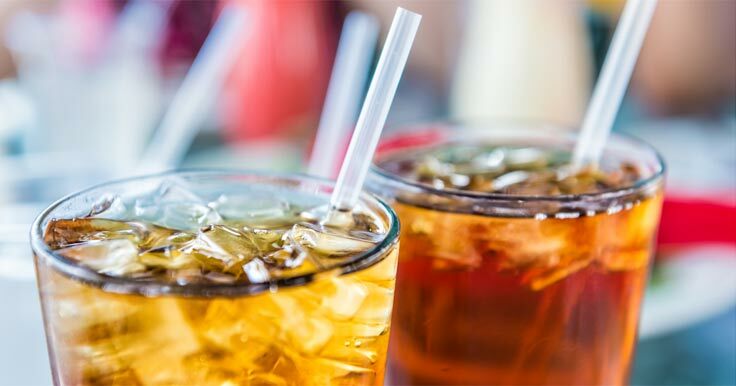 There are also usually no lasting effects, but for 1 in 200 people, the disease attacks the nervous system causing paralysis often affecting the legs. Sometimes, it can even lead to death as the muscles used for breathing become immobilised. Now the tricky thing is, even if someone doesn’t have any symptoms, they are still highly contagious! Back when there was no vaccine, this was a big factor in the epidemics which swept the world. During the polio epidemics of the 1800s and 1900s which killed tens of thousands of people across Europe and the US, people were panicking! They became desperately worried about the illness, and were scrambling to stop it spreading. During one of these polio scares, scientists announced what has become known as one of history’s most famous examples of jumping to conclusions. They noticed that the number of polio cases rose in the summer. They also noticed that people eat more ice cream in the summer. So… based on this, they declared that ice cream was the problem! Parents were told not to feed their children ice cream, and sales plummeted! There were lots of other wild theories flying around from cornflakes, to the bent-over position children sat in at their school desks. Sadly, during one epidemic in New York people starting pointing their finger at cats and saying they were to blame. Despite there being no evidence, terrified owners either turned their cats loose, or handed them over to be killed. More than 70,000 cats and 8000 dogs were killed during the period. 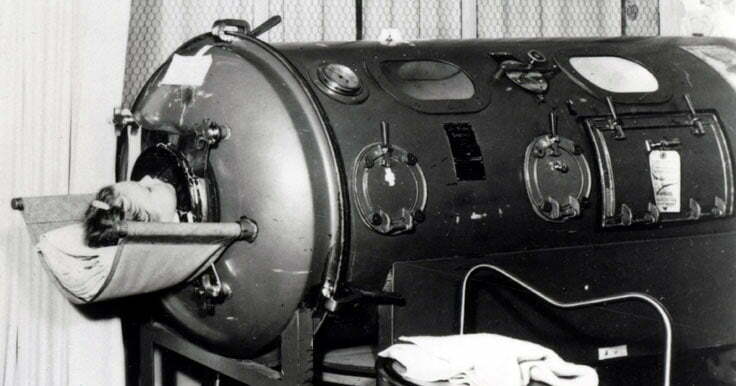 Although it might look a little scary, the iron lung was a life saving device for some people. For a small number of people with polio, their breathing muscles become immobilised, and they can no longer breathe on their own. Most of the time this would be temporary and patients would spend around two weeks in the machine which would pump air into their lungs. But sometimes it would be permanent, and this became how they would spend the rest of their days. Whilst life-saving, it was quite an adjustment for people who would have to lie on a tray within the machine, while it pumped and vibrated around them. There was often a mirror in front of the person, so they could see what was going on behind them, as well as a frame over the top where a book or newspaper could be placed. 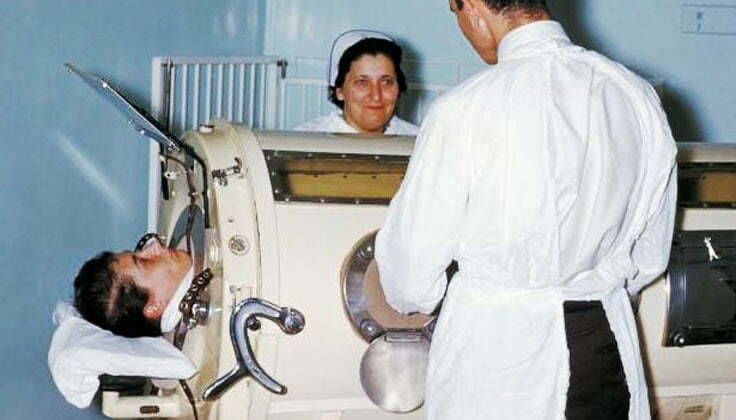 The days of the iron lung are now all but gone, replaced by modern mechanical ventilators. While Franklin D. Roosevelt is probably the most well-known polio survivor, many are actually not convinced he had polio – it has been suggested that his paralysis was in fact due to an illness called Guillain–Barré syndrome. But there are other famous faces who definitely did have polio in their childhood. 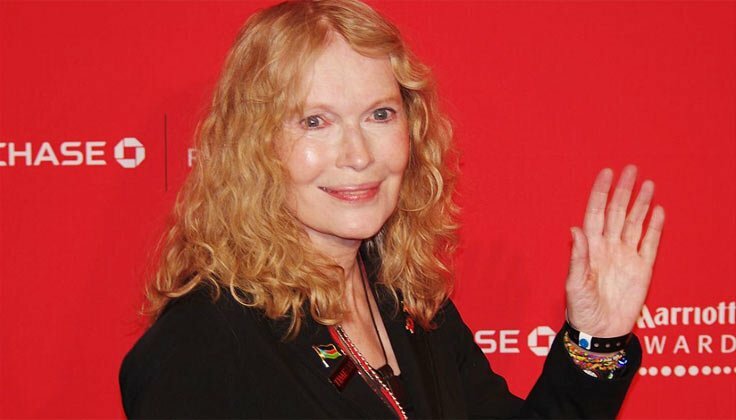 Mia Farrow, collapsed on her ninth birthday and was diagnosed with polio two days later. She was in the hospital for eight months, where an iron lung helped her breathe. 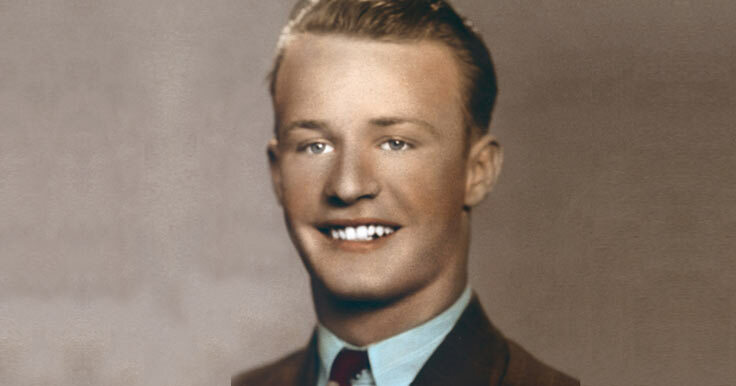 Australian media tycoon, Kerry Packer, also contracted polio as a child and spent nine months in an iron lung. Our own founder, Lionel Watts, caught polio, just one year before the vaccination was circulated in Australia. As a result, Lionel had developed quadriplegia – and spent two whole years in hospital recovering, weighing only 32 kilos. Other famous faces who had the illness include actor Donald Sutherland, singer-songwriter Neil Young, former Australian politician Kim Beazley, and renowned painter Frida Kahlo. With the polio vaccine being introduced in 1955, the virus has now been eradicated across most of the world. In 1985, Rotary launched an initiative to end polio. At that time, about 125 countries and 350,000 people a year were affected. Since, there has been a 99.9% reduction in polio cases! Polio is now only endemic in three countries – Afghanistan, Nigeria, and Pakistan. With only 22 cases of polio worldwide in 2017, the complete eradication of the disease is closer than ever. Getting rid of it completely is easier said than done though. Conflict, political instability, hard-to-reach populations, and poor infrastructure is making it hard to get the vaccination out to those who need it. Until polio is eradicated, all countries remain at risk of outbreaks which is why vaccination is so important! Finding the virus outside of Afghanistan, Nigeria, and Pakistan is actually not unusual. In 2014, the Soccer World Cup brought travellers from all over the world to Brazil, and polio was again detected in their sewage system. But due to Brazil’s regular vaccination efforts, the disease did not spread. Since 1986, the only new case of polio in Australia was reported in July 2007. This person was a traveller who caught polio in Pakistan. Getting rid of polio therefore relies on something called “herd immunity”. In other words, when enough children are immunised, when someone does get the virus, it will struggle to find another person to infect, and will die out. As with other countries, if Australian children and adults are not immunised, polio could again become a problem.